Abstract: The article is an attempt to conduct an inquest into the tragic suicide of Rohith Vemula, a Dalit scholar at the University of Hyderabad. It argues that the death must not be analysed in isolation and hence calls for a framework considering the broader socio-political context that guides such fatal instances. It examines the role of persistent caste dominance on the survival of Dalit Bahujan discourse and what it implies for the very sustenance of democracy. On the night of January 17, my mobile phone beeped twice when the minute hand was about to call off the day. A known voice grunted from the distance. In over a minute I abruptly disconnected the conversation. Soon, a mood of melancholy descended on me. My body was furious, yet calm. The 'Ambedkarite' Rohith was no more to resist. He had left his body to the world with a neatly written 'death-note'1. Now, it is for the world to interpret what he lived for. And it is again for the world, as he lamented on his deathbed, to decide over his bequeathed legacy of silent protest. Rohith, like any other Dalit aspirant, realised his destiny when he learnt and recited the words of Babasaheb: 'Educate, Agitate, Organise'! To him and many others like him, this triad is a 'liberating' force. It is with this strength that he along with his four friends sought a triumph of reason over 'mythology'. 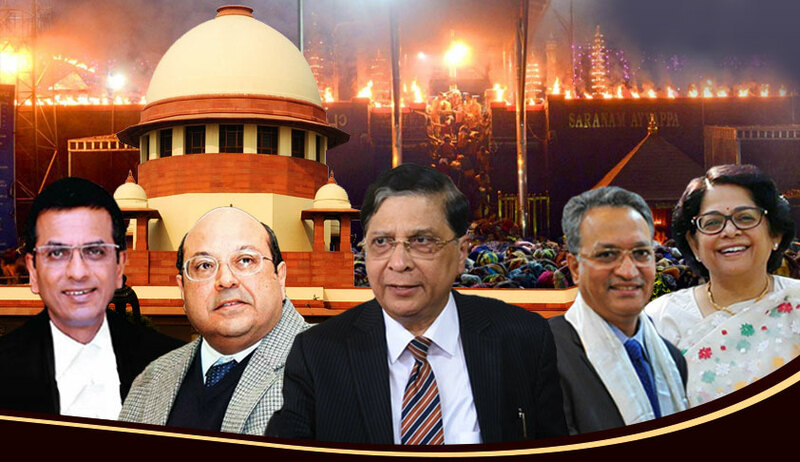 They questioned the role of Brahminical forces in carrying out riots – from Godhra to Muzaffarnagar – and, caste atrocities! They challenged the prerogatives of caste elites. Their fierce resistance against the Brahminical forces fetched them the titles 'casteist', 'extremist' and 'anti-national'. Not just the university administration, but supposedly the entire state apparatus hounded them.2 Finally, they were 'disciplined' and 'ostracised' by the administration, who showed them the exit door. Four survived, one couldn't – it was Rohith Vemula, a Dalit Scholar in University of Hyderabad (UOH). The dubious charges levelled against Rohith and the four other expelled students hardly justify their expulsion. They all belonged to Ambedkar Students Association (ASA). They were charge sheeted for an altercation with a rival student group named Akhil Bharatiya Vidyarthi Parishad (ABVP), the student wing of Rashtriya Swayamsevak Sangh (RSS). If at all expulsion had to be enforced, then, in principle, it should have been on both the parties and not just one. The involvement of the state apparatus, the reshuffling of Vice Chancellors, the way the deceased student was treated, signal the reinforcement of perennial Brahminical ideologies in academic institutions. To Dalit Bahujans, it is not a 'suicide' but a 'murder'. I am not a coroner who has the ability to theorize on 'suicide' convincingly and unambiguously. For me Rohith's death was the climax of his struggle with the complex phenomenon that he grappled with till his last breath. Yet, I feel that his suicide, at its heart, remained simple and clear. His was the struggle for honour and pride in one's life. He made good his escape from this deceitful world in search of the "other world" to find the imprint of longing humanity. His death is a serious blot on the society that failed him. Whatever his sad demise would amount to, it can't be dubbed as anything other than 'fatalistic' suicide. It is this that calls for our intervention. The neatly written death-note is testimony to the fact that Rohith's suicide was preconceived. It was a successful culmination of cumulative disappointments with the life that he lived – from his "fatal" birth to "silent" death. It is not very often that a suicide note is found along with a body. Hence, theoretically, a death note of this kind leaves the world – both, 'casteist' and 'capitalist' – to contemplate its governing principles. It leaves us to contemplate where and why we failed to save a life. Death is not an answer to these enduring questions, but a question in itself, on the kind of existing civility. To Rohith: "Our feelings are second handed. Our love is constructed. Our beliefs are coloured. Our originality valid through artificial art. It has become truly difficult to love without hurt." Death to him was like marching 'into the wild' in search of his world where a man is not "reduced to his immediate identity and nearest possibility." He believed in "other worlds" where, possibly, "man [is] treated as a mind, as a glorious thing made up of star dust." Rohith's suicide can't be contemplated sans an understanding of Ambedkar's ideology. To him, Ambedkar was the "soul", the inner character, of his "body". The practice of intimidation on the part of caste-academia makes it difficult for Dalit students to report recurring atrocities against them. And, those who defy the rules are made victims of academic ‘disciplining’. They are put under academic surveillance and under the constant threat of "rustication, expulsion, defamation, and discontinuation" (Kandasamy 2016). The proverbial denial of education to Shudras in Hindu scripture remains intact in contemporary society too. Sikhamani, a contemporary Telugu poet, observes: "The Sword that severed/ Shambukas could remain/ sharp and safe for the centuries/It has just changed hands/" (Satyanarayana and Tharu 2013: 268). The Dalit students not only face "humiliation" from the elitist academia but also from students.6 It makes their stay very difficult at the varsity, as Rohith writes, "in every field, in studies, in streets, in politics, and in dying and living." It resonates with Ambedkar's famous remark on caste: "[T]urn in any direction you like, Caste is the monster that crosses your path." At the heart of the matter is the pivotal role played by caste that needs to be addressed. Rohith fought for "annihilation of caste" till he annihilated himself. And, this is a grim development that must awaken us from 'the sleep of ignorance'! Recently, the incumbent government led by the Bharatiya Janata Party (BJP), commemorated the 125th birth anniversary of Dr. B.R. Ambedkar. It has also bestowed respect on Ambedkar by acquiring the house where he stayed during his study in London. Amidst all these developments, there are massive debates and agitations going on against the government and (does he mean agitations against govt. and left parties or against the govt by left parties?) all socio-political formations from the left to the left-of-centre, for appropriating Dr. Ambedkar. The act of appropriation is seen as a process of obliterating the core of Ambedkarite Movement. Since the BJP has come to power, it has left no stone unturned in inducting their 'idea' of India. For them, "what is hidden within India", as Perry Anderson asserts, is "Hindustan" (2012:145). To ruling caste elites "India is secular because it is Hindu" (Anderson 2012: 150). The massive deployment of Sanghis and caste ideologues in key educational institutions of national repute is a means to achieve this end.7 However, it has to be borne in mind that the essentiality of the caste composition has hardly altered under BJP's rule. It is indeed the mere replacement of soft Hindutva 'disciples' with hard Hindutva 'cadres' who could immediately serve the purpose. The unfilled 'reserved' vacancies in educational institutions and elsewhere under the lame explanation of "shortage of qualified persons for these positions among disadvantaged social groups" (Agrawal, Drèze, and Gupta 2015: 48)8 substantiates the very fact that the "liberal mainstream intellectual life" has been the "principal carrier of [Hindu] ideology" (Anderson 2012: 3). Not to be lost in the arguments, a fair chunk of academia has either remained passive or actively facilitated the 'communalisation' of education.9 As a result it sees very meagre academic outrage against the saffronisation policies. It cues us to enquire, as Altbach (2012) had demystified, who are the "men and women who teach …in the universities." In this regard, one must question the 'fundamentals' of Indian education policies – stretching from the Nehruvian era to Modi's reign – that haven’t generated the democratic vibrancy even among its 'educated' citizens. There ought to be 'social auditing' on the impact that these policies have had on the young generation.10 This is where we have failed miserably. This demands answers to many questions. Why does a fair chunk of academia support the saffron agenda, passively or actively? 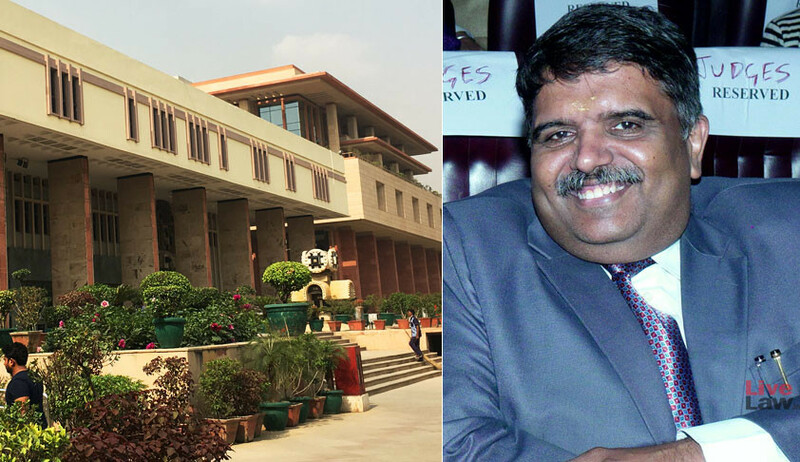 Why is there no academic protest or upsurge against the killing of a Dalit Scholar? Who makes the academia and what it bears for the future development of Dalit-Bahujan discourse? Why did those who were protesting against 'intolerance' not protest against this cruelty? Why do laureates not consider returning their awards as a symbolic protest against caste-atrocities? These are the few pressing questions that demand political debates across the country. There is no other way to combat these than 'educating' the masses about the vested agenda of the saffron authority, which means arresting the Brahminical forces. If there is no social upheaval, civil society activism and a churning in the media on such grave issues, then there is something serious to be questioned. The expulsion of the students in the University of Hyderabad (UOH) has a historic precedent. Sometime ago, one such noted incident had occurred in the Indian Institute of Technology, Madras (IIT-M), where without much reason, the Ambedkar-Periyar Study Circle, a 'democratic' Dalit study group, was abruptly banned from functioning by the administration. It is also to be noted that there has been considerable interference of Central Government in the matter.11 The suspension of Ambedkarite organisations is not a mere coincidence but a strategic check carried out by Brahminical wings of the government. It is an avowed war between Ambedkar's egalitarian vision of India that lies in 'annihilation of caste' and Brahminical conception of undemocratic 'Hindustan' that affirms the 'varnashram' dharma. It is a war between 'reason' and 'mythology'. In contemporary India, as one ardent observer summarizes it, there could be only and only two socio-political ideologies – Brahminical and Ambedkarite – the rest are mere manifestations of these two. Time and again, it has been proven that the Brahminical forces can only be thwarted by Dalit-Bahujan forces. Despite constitutional guarantees, the dominant caste elites – left, right, and centre – prevented Dalit-Bahujans from being "educated" in the second half of the twentieth century; and, now when the twenty-first century brings opportunities to transcend these barriers to education, the Brahminical forces stop them from getting organised. Ambedkarite organisations pose a sure threat to caste hegemony. Hence, 'disciplining' these forces is a sine qua non for the very survival of Brahminism. The recent announcement to discontinue Non-NET fellowship for M.Phil/PhD students must be evaluated from this 'ideological' lens. There can be no disagreement that India has undergone marked changes – social, political and economic – since the advent of neoliberal policies. The intersection of 'rigid' social structure and 'flexible' capital that looks for 'profit' has reinforced the imbalances of power and primordial caste relations.18 While theoretically it is argued that the market opens opportunities for all sections of a society, it has largely failed to do so in caste-bound India.19 It is claimed that reservation policies have benefitted Dalits more than globalization.20 The intersection of capital with caste stratification has produced a unique cocktail of inequalities that "often reinforces class inequality, giving it a resilience that is harder to conquer" (Drèze and Sen 2013: 213). The concerns of marginalised people are largely ignored and remain unreported in the media.21 The market-driven 'efficiency' principle has acted as a shield to the model of caste hegemony. Often, the 'reserved' seats are found unfilled under the lame excuse of 'meritocracy'. When upper-castes disregard diversity in any organisation, they serve as an "effective guardians of the caste hierarchy." The Dalit Bahujan's "inability to secure an adequate presence in public institutions is not just a reflection of historical disadvantage," the authors argue, "but also a symptom of active resistance from the privileged castes" (Agrawal et al 2015: 50). Hardly had the dust of 'intolerance' settled when Rohith's death set a political cat among the pigeons. There is a widespread solidarity among student scholars, perhaps for the first time, over a Dalit subject. The act of solidarity among mainstream political parties might be read as an attempt to bridge the 'trust-deficit' which they face from Dalits. Hence, it can be argued that the sympathy is merely a need of electoral politics which Rohith would have condemned as "one vote". Rohith's death is not the death of a Dalit scholar per se but the death of a prospective Dalit leader. It raises more question than it answers. The malicious characterization of victimised students as 'casteist', 'extremist', and 'anti-national' demands a political probe into who holds the baton of nationalistic discourse. The compelling question must be raised about the implication of persistent dominance of caste on the sustenance of Indian democracy. If we could debate on these enduring questions that victimize Dalit Bahujans, that would be the real tribute to Rohith Vemula. 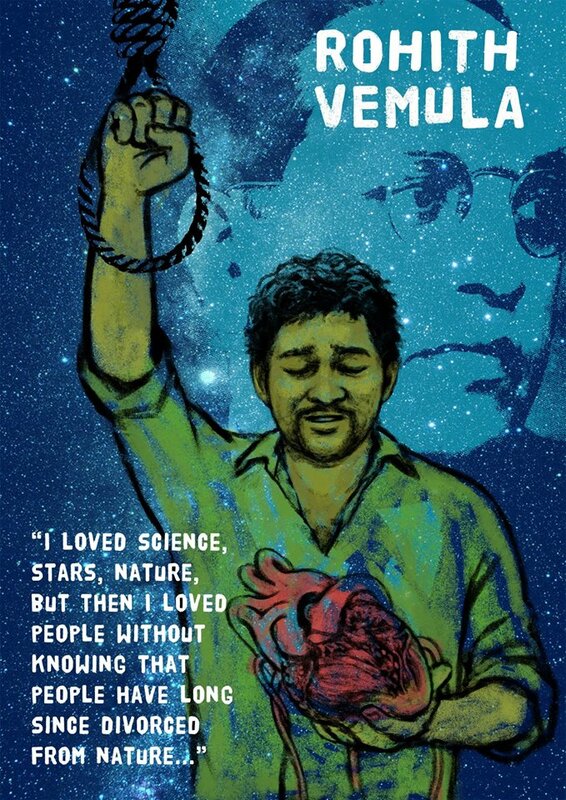 Acknowledgement: I dedicate this article to the struggle of Rohith Vemula. I am extremely thankful to Sandeep Surwade for extensive discussions and insights, particularly, on the Dalit subject. I am grateful to Sanjay Mallick, Sonal D'souza and Madhusudan Nag for their useful comments. 2. Round Table India (2015) documents the trial of letter directed to University of Hyderabad (UOH) fromMinistry of Human Resource Development (MHRD) officials against the students. 3. However, Perry Anderson suggests that "it was not a contradiction of the democracy to come. It was the condition of it. India would have a caste-­iron democracy (emphasis ours)" (2012: 112). 4. For example in Vardhaman Medical Science College, Delhi, how en masse Dalit medical students were failed in one subject, which led to formation of probing committee headed by Balachandra Mungekar. The committee 'unequivocally' concluded the practice of caste discrimination in the institution, see (Gaikwad 2012). 6. By drawing arguments from political and moral theory, Gopal Guru (2009) juxtaposes different forms of discrimination, and establishes that why 'humiliation' is more fatal vis-à-vis other forms of discrimination. Sukhdeo Thorat affirms Rohith's suicide as a result of "exclusionary and humiliating campus culture", see Ashraf (2016). 7. For top ideologue appointments in major institutions, see George (2015). 9. In an editorial analysis, G Sampath (2015) laments the hypocrisy of liberal Hindus, questions: When the left and the liberals are themselves already socially conservative, where is the space or need for a separate, secular, conservative tradition? 10. In a press conference on "condemning assault on reason", Teesta Setalvad (2015) vehemently criticizes the communalisation of education and raises serious question on the impact of these have had on the society. 11. For the course of the event, see Ramesh (2015). 12. There is a subtle difference the term 'dominance' and 'power'. According to Francine Frankel (1989: 89), "the term 'dominance' is used to refer to the exercise of authority in society by groups who achieved politico-economic superiority, and claimed legitimacy for the commands in terms of superior ritual status, or through alliances with those who controlled the status distribution. By contrast, the term 'power' is used to refer to the exertion of secular authority by individuals appointed or elected to offices of the state, who claimed legitimacy, under law, to make and implement decisions binding on the population within their territorial jurisdiction." 13. It is worth noting that "the dominance of the upper castes seems to be, if anything, even stronger in institutions of 'civil society' [i.e. are otherwise ‘anti-establishment’] than in state institutions" (Drèze and Sen 2012: 219-222). 14. As mentioned in Drèze and Sen (2013: 266), "in spite being national dailies being widely read in rural areas rural issues get only 2 per cent of the total news coverage in national (Vipul Mudgal 2011);for similar findings on regional dailies, see (The Hoot 2011)." The authors also question the "corrective" role of media in sustaining democracy. 15. The Indian Constitution guarantees for proportional political representation to Scheduled Castes and Scheduled Tribes. However, this guarantee only endows 'nominal' representation and not 'real' since the electoral fate of these candidates contingent upon the distribution of "wealth, power and status in a society". Hence, "The Marxists have generally rejected such representative democracy as a sham, concealing the exercise of power by the dominant class" (Harriss 1999: 3367). 16. As of March 2011, according to the reply given by MoS, "out of a total of 149 secretary-level officers, there were no SC officers while there were only 4 ST officers", see Subodh Varma (2012). 17. See Drèze and Sen (1995) for more elucidation. 18. Michael Levien (2015: 153) shows how the accumulation process has "dramatically exacerbated pre-existing class, caste and gender inequalities." See Kanungo (2015) for the discussion on how massive investment in extractive industries has widened the existing social inequalities in Orissa. 19. For the theoretical arguments on the market, and on the detrimental role of caste see Thorat and Newman (2012). 20. Vivek Kumar claims in an interview to Ajaz (2016). 21. See Drèze and Sen (2012),for the critical analysis of functioning of media, and on the politicization of the term 'common people' to suit middle income groups of upper castes (p. 268). Altbach, Philip G (2012): A Half-Century of Indian Higher Education: Essays by Philip G Altbach, in Pawan Agarwal (ed. ), New Delhi: Sage Publications. Ambedkar, Dr Babasaheb (1979-2012): Writing and Speeches (BAWS), Vol. 1-22, Mumbai: Government of Maharashtra. Anderson, Perry (20123): The Indian Ideology, Gurgaon: Three Essays Collective. Ashraf, Ajaz (2016): "Exclusionary and Humiliating Campus Culture led to Rohith Vemula's Suicide: Ex-UGC Chairman Thorat", Scroll.in, 21 January. Ashraf, Ajaz (2016): "Reservations have Benefited Dalits far more than Globalisation, says Academic Vivek Kumar",Scroll.in,7 January. Ankita Agrawal, Jean Drèze and Asish Gupta (2015): "Caste and the Power Elite in Allahabad", Economic & Political Weekly, Vol. 50 (6), pp. 45-51. Drèze, Jean & Amartya Sen (1995). India: Economic Development and Social Opportunity, Delhi: Oxford University Press. Drèze, Jean and Amartya Sen (2013): An Uncertain Glory: India and its Contradictions, New Delhi: Penguin. Frankel, Francine R (1989): "Introduction", in Frankel, Francine Rand M. S. A. Rao (ed.) (1989): Dominance and State Power in Modern India: Decline of a Social Order, Delhi: Oxford University Press, Vol. 1, pp. 1-20. Gaikwad, Rahi (2012): "Half of SC/ST Teaching Posts Unfilled in Central Varsities", The Hindu, 24 October. George, Ajish (2015): "Modi Government's Top Controversial Appointments that were Hounded by Saffronisation Allegations", The New Indian Express, 24 January. Guru, Gopal (2009): Humiliation: Claims and Context, New Delhi: Oxford University Press. Harriss, John (1999): "Comparing Political Regimes across Indian States. APreliminaryEssay", Economic and Political Weekly, Vol. 34 (48), pp. 3367-3377. Insight Foundation (2011): The Death of Merit blog, Archive available at https://thedeathofmeritinindia.wordpress.com/2011/04/. Kandasamy, Meena (2016): "He has Left us with only his Words", The Hindu. 19 January. Kanungo, Pralay (2014): "Shifts from Syncretism to Communalism", Economic and Political Weekly,Vol. 49 (14), pp. 48-55. Levien, Michael (2015): "From Primitive Accumulation to Regimes of Dispossession. Six Thesis on India's Land Question",Economic & Political Weekly, Vol. 50 (22), pp. 146-157. Gaikwad, Rahi (2012): "How Casteist is our Varsity? ", The Hindu. 3 October. Ramesh, G (2015): "Press Release: Ambedkar-Periyar Study Circle IIT Madras", Kafila, 30 May. Round Table India (2015): "MHRD's Trail of Letters Hounding Dalit Students of UoH", Round Table India, 18 January. Sampath, G (2015): "The Missing Conservative Intellectuals", The Hindu, 25 July. Satyanarayana, K. and Susie Tharu (2013): The Exercise of Freedom: An Introduction to Dalit Writings, New Delhi: Navayana. Thorat, Sukhadeo, and Katherine S. Neuman (2012): Blocked by Caste: Economic Discrimination in Modern India, New Delhi: Oxford University Press. Varma, Subodh (2012): "SC/STs fail to Break Caste Ceiling: No SC in 149 top Government Officers, 40 pc do Menial Jobs",The Economic Times, 6 September. About the Author: Pankaj is a Doctoral Scholar at Centre for Development Studies (CDS), Trivandrum, Kerala. He has completed his M.Phil. in Applied Economics from the aforementioned Centre.